Purring to me is an expression of absolute contentment, and yes, I am a cat lover. A cat’s purr has been said to vibrate at a frequency that can actually heal bones, and cats purr not only when contented, but also when frightened or in pain, kicking off endorphins to heal and calm themselves and everyone around them. For me though, I think of other things that make me purr. Some days it is letting a piece of Swiss chocolate melt in my mouth, or listening to most anything by Lindsey Stirling. Sunshine on my bare shoulders, or laying in bed on a weekend morning with a purring kitten on my chest…yes…I purr too. Then, there are the special people in your life, where there nearness alone, those silent times of connection where no words are necessary, just a look, a touch….I don’t hear it, but I can feel it inside; that long, languid, contented purr. Purrs are found when we slow down, be present, and just savor. A purr is pure blissful enjoyment of the moment. Here’s wishing you many purrs throughout your day. Last day of Skin Fair 2014 is March 30, and you still have time to pick up Amacci’s new Tyne skin. 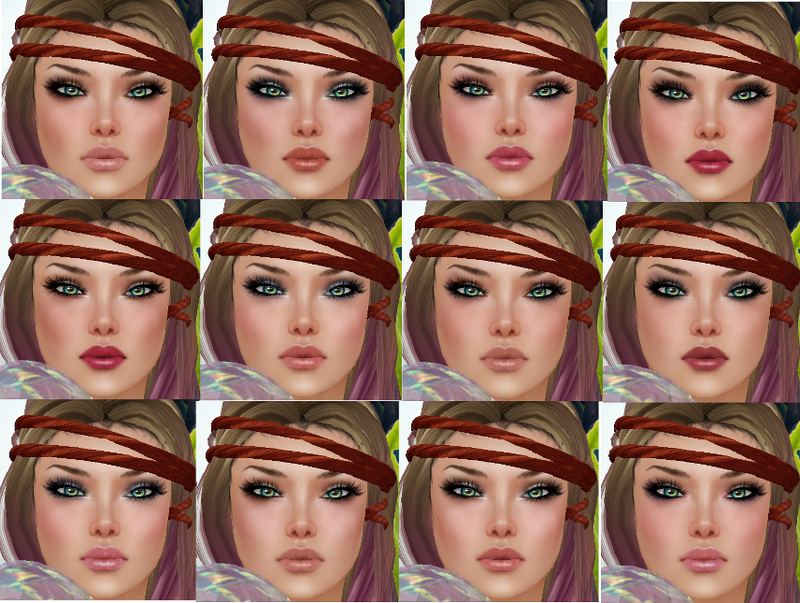 I had so much fun playing with this skin, because in addition to all the pretty eye and cheek colors varieties built into the skin itself, lips come bare until you start mixing and matching the complimentary lip tattoos in the pack. I couldn’t resist, which you’ll see below. Each skin comes with the bare skin plus one makeup option. But if I can be completely honest…the best option is fatpack. Take a look for yourself. Appliers to match your Lolas, Phatt Azz, and Slinks can also be purchased separately. While Tyne is currently featured at Skin Fair in Cream, once it rolls out to the stores, even more skin tones will be available. And while we are discussing events, also be sure to check out Genre’s Mer theme, where you can find Circa Living’s siren-inspired vanity, which also includes a stool (not shown) loaded with animations so you can primp til your heart’s content. Beauty may only be skin deep, but Meja from BLUSH Skins is a deeply beautiful skin, no matter which shade you wear. Available now at Skin Fair 2014, Meja from BLUSH comes in several different skin tones, with and without bust enhancement, and with Slink and Lola appliers available. Multiple eyebrow colors are included so you can customize your look. And now that traffic has begun to mellow during the last week of the fair, it is the best time to cruise over to find your self a fresh new look for the season. While styling the other day, I found myself in an interesting conversation with a designer friend. In a nutshell, we came to the agreement that a contrast is better than a match, so that each piece stands out in its best light. The people in our lives are like that too. A contrast is more compatible than an exact match. I know for myself, I am a terrible procrastinator, often because I spend so much time planning, it leaves me in a scramble to get things done. I don’t need another person in my life with that matching trait. I need the contrast of a spontaneous person who is willing to wing it a little, break me out of my rut, and help me get moving and experiencing. And they don’t need someone just like them, for that matter. Living all for today would mean getting blindsided by a tomorrow they aren’t prepared for. So embrace the contrasts in the people you love. Don’t try to make them act like you. It is those differences you fell in love with so that each of you can shine in your own unique way. Here’s another contrast for you. 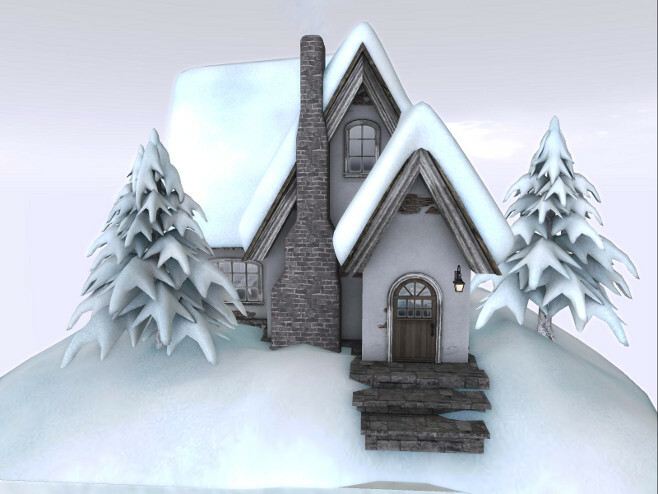 A wonderful event called Fall In Love, coordinated by Finesmith Muse Inspiration Week 7, Winter Zhukovsky. And despite her name, she has created a fall shopping wonderland that is so autumny you can smell the apple cider. From November 23rd until November 30th, 35 leading designers have come together, many offering event exclusives. Additionally, a fashion show displaying these designs is planned on November 26 at 4pm. Hunt items courtesy of Finesmith are also tucked here and there, so you can combine your shopping and hunting in one place. Here is your TAXI. And speaking of contrasts, while the event theme is a color-filled autumn, in honor of our coordinator Winter, here are two cozy Shine by [ZD] event offerings, but with a winter themed twist.